Renegade All Star Basketball Awards. Available in 5 sizes, 260mm, 285mm, 300mm, 320mm and 350mm high. Antique gold in colour with gold and orange highlight. 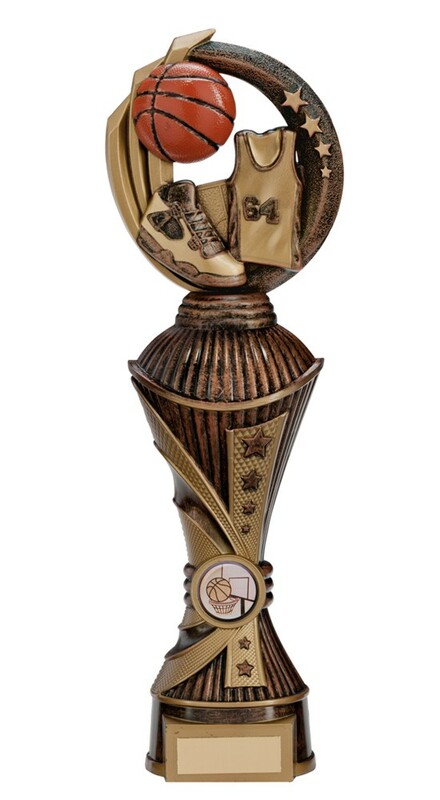 The trophy depicts a basketball, basketball shirt and boots.